Second episode of the ninth season of NOGIBINGO! 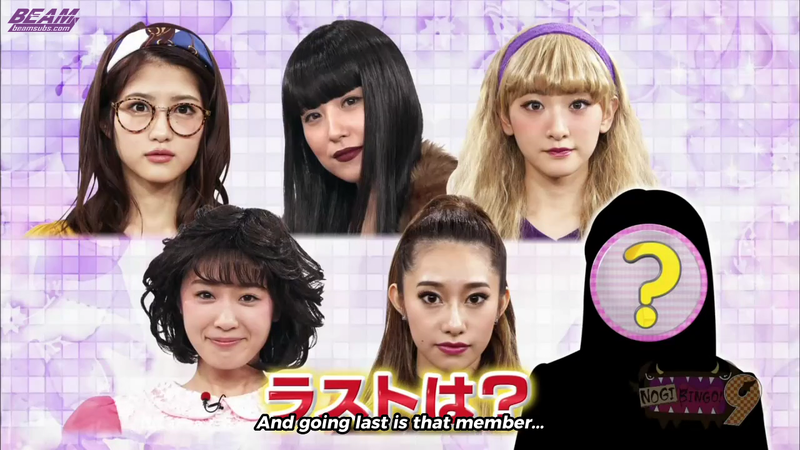 The harsh Makeup Artist Pikako once again appears in the studio, but this time to comment on the incredible transformations the members take! Segundo episodio de la novena temporada de NOGIBINGO! El artista de maquillaje Pikako nuevamente aparece en el estudio, pero esta vez para comentar en las increibles transformaciones de las integrantes! congratz for your new twitter account..